Breathing is the least understood and most under-appreciated of all human activities. We each breathe about 17,200 times a day. Any problems we have in breathing are therefore multiplied 17,200 times every 24 hours. Constriction in breathing can lead to sub-par mental performance, poor skin tone, fatigue, anxiety, mild depression, poor posture, pain, premature senility, poor athletic performance, osteoporosis and heart disease. Your brain uses 10X times more oxygen than any other part of your body, so the first part of your body to suffer from shallow, restricted breathing is your brain. Vital capacity is the maximum amount of air you can hold in your lungs when you take a deep breath. It is not a good measure of breathing, since we don't walk around taking maximum deep breaths. In fact, most people walk around holding or constricting their breath (we have even found athletes who do this while running, swimming and playing golf and tennis!). Vital capacity is a measure of the volume of your lungs. It does not measure how much air you breathe in and out during a 24 hour day. The flexibility of your trunk wall is a better measure of your breathing. You should be able to expand a minimum of 15% of your circumference at your stomach, diaphragm and chest. Anyone with a 40" chest should expand a minimum of 6", but most people are lucky if they expand 2-3". We have measured some athletes who expanded as much as 9". Measuring your breathing ranges is more important than measuring your weight. Your breathing ranges affect every part of your health, but most importantly, affect how well your brain functions. Order your Somax Measuring Kit and measure everyone in your family. Each kit contains our six page instruction manual for measuring and calculating your breathing range percentage and a flexible cloth tape measure. The kit is only $35 in US and $55 outside US, which includes Priority Mail postage and handling. When breathing is shallow and restricted, carbon dioxide builds up in your lungs. This carbon dioxide is then picked up by your bloodstream instead of oxygen, thereby making your blood more acidic. Your body then pulls calcium from your muscles and bones to rebuffer your blood stream. This depletes the muscles and bones of calcium. The muscles tense up and can tend to cramp, while the bones can become thinner over time. The calcium will then deposit on cholesterol in the coronary arteries, causing plaques and blockage, leading eventually to heart attacks. Research and thousands of books and articles have extolled the virtues of exercise. None of them has mentioned the most important benefit of exercise: blowing off carbon dioxide. 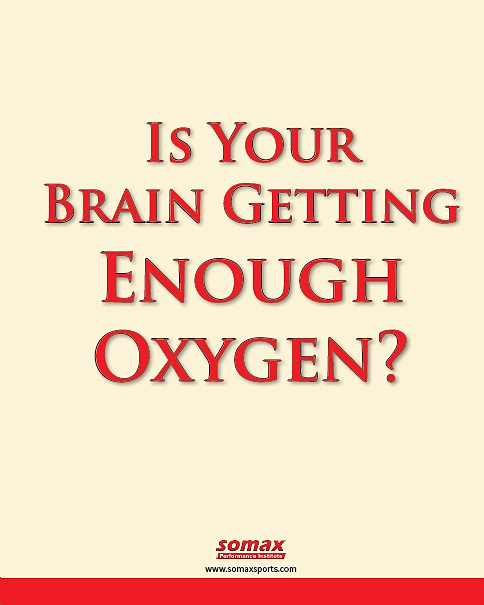 As carbon dioxide accumulates in our lungs, less oxygen gets to the brain. Since our brain runs on oxygen and sugar, a drop in either one leads to fatigue and fuzzy thinking. When we exercise we blow off the carbon dioxide. This is why we feel less fatigued after exercising and why we find we can often solve difficult problems during or right after exercise. After we have improved breathing by releasing the microfibers that are restricting it, our adult clients report great improvements in productivity. One runner/computer programmer reported two raises in pay and three promotions after we increased his breathing ranges. Another completely got over the symptoms of ADD that had plagued him since childhood. The parents of young swimmers report that their grades improve dramatically after we have increased their breathing ranges. Breathing becomes restricted from stress, impact and illness. Under stress we hold our breath. With some impacts we get the breath knocked out of us. With bronchitis, asthma and illness our chest muscles tense up to reduce irritation to the lungs. Too many bench presses, pull downs, push-ups and sit-ups can tighten our shoulder muscles and also restrict our breathing. This tension, whether we are aware of it or not, causes microfibers to form in the connective tissue between the muscles. These microfibers are a mild form of adhesion or scar tissue. They form to immobilize the area so it can heal. Unfortunately, once the area has healed, the microfibers not only do not go away, they tend to accumulate over time. They cannot be released by stretching. Since they are very small, the only way to know if you have microfibers is to measure your trunk wall flexibility. We release microfibers with Microfiber Reduction, improving breathing ranges 300% and more. Our clients continue to improve their breathing ranges with our Tension Reduction exercises. Microfiber Reduction is a proprietary form of connective tissue massage developed by Somax to improve flexibility far beyond what stretching alone can do. Tension Reduction is our special program to reduce tension in specific muscle groups. By releasing microfibers and tension in the trunk wall and shoulders, we have been able to improve breathing flexibility by 300% and more. Microfiber and Tension Reduction are available to our clients in our individual programs, national team programs and camps. Please contact us to discuss our breathing programs and schedule appointments.